Two American Web Design Awards | TFI Envision, Inc.
New York, NY — The 2013 American Web Design Awards from Graphic Design USA, is a celebration of the power of well-designed websites and online communications to attract audiences, disseminate ideas and information, generate response and promote products, services and ideas. Demonstrating the explosive importance of online design, entries to this competition have grown by nearly 50% over last year. 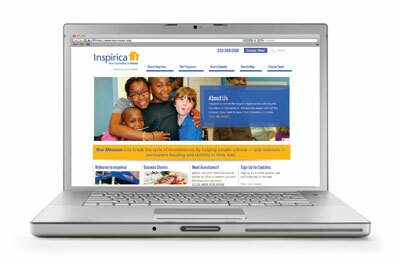 • Inspirica – “from homeless to home” website http://inspiricact.org (featured in our December 2012 press release available on our website News section http://www.tfienvision.com/news.html?archive=2012). These award winners will be featured in the May/June 2013 web design annual, published online on the American Web Design Awards website and on the free GDUSA app. For five decades, Graphic Design USA has sponsored national design competitions that spotlight areas of excellence and opportunity for creative professionals.